Do you want to better connect with readers to create more impact? 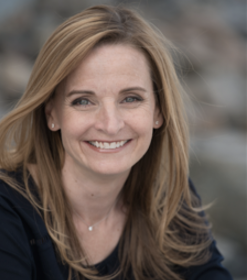 Listen as is a lover of words and playing with words on the page, Melanie Brooks, freelance writer and college professor, shares her emotionally impactful advice. Melanie Brooks, a freelance writer and college professor living in Nashua, New Hampshire with her husband, two children, and a yellow lab. 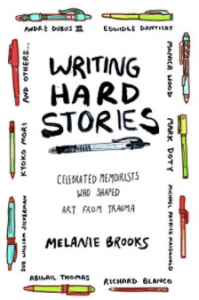 She’s the author of Writing Hard Stories: Celebrated Memoirists Who Shaped Art from Trauma. She teaches college writing at Northeastern University in Boston Massachusetts and Merrimack College in Andover, Mass. She also teaches creative writing at Nashua Community College in New Hampshire. Her recent work has appeared in The Washington Post, Bustle, Creative Non-fiction, The Huffington Post, Solstice Literary Magazine, Modern Loss and many other literary publications. Unpacking experiences of life and loss are at the core of Melanie’s writing. Her almost completed memoir explores the devastating impact of living with a 10-year secret of her father’s HIV disease before his death in 1995. Her writing is the vehicle through which she’s starting to understand that impact. Q: Melanie, you’re not my typical mentor, but I know our listeners can learn so much from your style of writing and what you bring to the world. What does it take to write an honest memoir? A: It takes the willingness to look at our stories honestly, which is a hard thing to do. That’s why the title of my memoir is Writing Hard Stories and it should have a secondary title that says “Writing Hard Stories is Very Hard Work” because I think one of the things, when it comes to memoir writing and the kind of memoir that other people are going to connect to is they want to see a level of honesty and authenticity from the writer. It takes a lot of emotional soul searching and deep diving into our memories and our experiences in order for us to reach that place of authenticity and really discover what the authentic story is behind our experiences. Q: If we decided to embark on this kind of a journey, what can we expect to happen to us in terms of our feelings? What goes on when you go through writing about a traumatic event? A: Well, I’ll say that that is primarily the impetus behind writing hard stories, is that I had no idea what to expect. When I actually started diving into my own personal story, I was completely sideswiped by the emotional impact that it had on me. In many ways when we’re writing about traumatic experiences, there’s a sense of being retraumatized. There is a sense of finding ourselves in kind of some dark emotional spaces. Because I didn’t anticipate that that’s what would happen, I found myself very paralyzed by the experience and wasn’t sure that it was normal that I was actually going through that. To contact Melanie Brooks for more information about her services.